Building your own bird house enriches the experience of bird watching, which is we carry a large bird house kit collection. 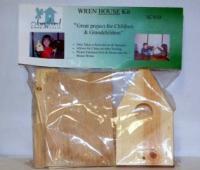 Each bird house kit we sell is easy to assemble and comes with clear instructions. 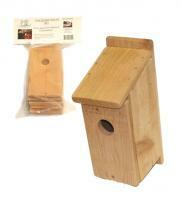 Whether you’re interested in a wooden wren house or a robin’s roost, we have the bird house kit that fits your needs. 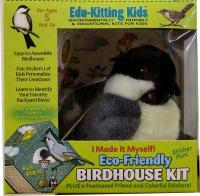 Be sure to check out our eco-friendly bird house kit, which is specially designed for children ages five and up. It comes with stickers for decorating and will expose your kids to the rewarding experience of building a habitat for wildlife. 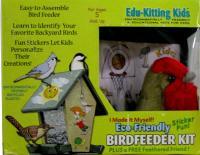 Have questions about our different bird house kits? Just call our friendly customer service staff and they’ll be happy to help you find the perfect product. This is an excellent product ... better than represented! It is very unique due to the fact that it allows the recipient to make their own bird feeders instead of buying a prefabricated one. I gave it as a gift to my mother and she loved it. It is a great product! My 3 year old daughter loved it!!! She had a great time putting the birdhouse together with her father.